Before ordering any parts for the build, there are two small but important details to verify and work out that will help solidify my decision to go on with the build. Some of these potential stumbling blocks can be worked out prior to the build and will provide me with a better comfort level. I’ll call this the “testing phase” and will be using my trusty old Shuttle SN85G4. This is an attractive small form factor PC with a now outdated Athlon 64 3200+ processor with a gig of memory and Windows XP Pro loaded on it. The first order of business is to determine whether or not the firewire output on the Motorola DCT-6200 cable box is active or blocked. 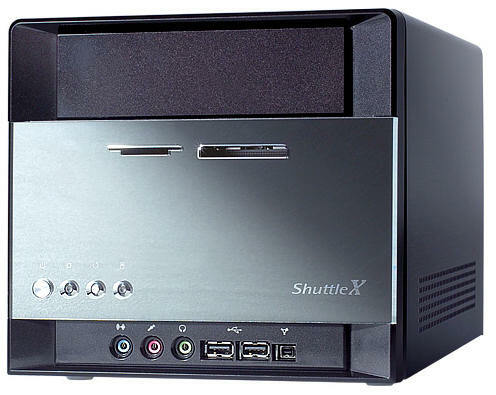 The Shuttle has a firewire port and I’ll use it to test connectivity with the 6200. A unique Windows driver must first be downloaded and installed in order for Windows to recognize the 6200 correctly. I will not detail these steps but will provide the references that I used to get this up and running with WinXP. Once the driver is installed, VLC media player can be used to watch the stream by setting VLC to open a capture device and selecting the Direct Show option (File>Open Capture Device>DirectShow>OK). The good news is that I confirmed that the firewire port on my 6200 was enabled and could be used to capture live video streams. As I understand, encrypted pay channels are not available through the firewire connection. Since I don’t subscribe to any upper tier pay channels this does not concern me. HD channels were able to be captured over firewire but with the sacrifice of lost frames and general choppiness. This is probably a result of the Athlon 3200 as I noted the CPU usage was pegged out when streaming HD content from the cable box. Standard definition performed fine but VLC crashed every time when performing a channel change. Though this wasn’t a perfect outcome I feel it’s a viable option that I can make work down the road when it’s time to interface the 6200 with Linux and Mythtv. 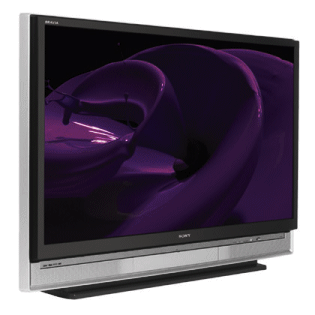 Another “must have” for my HTPC is 1080p display output to the Sony 55″ HDTV. 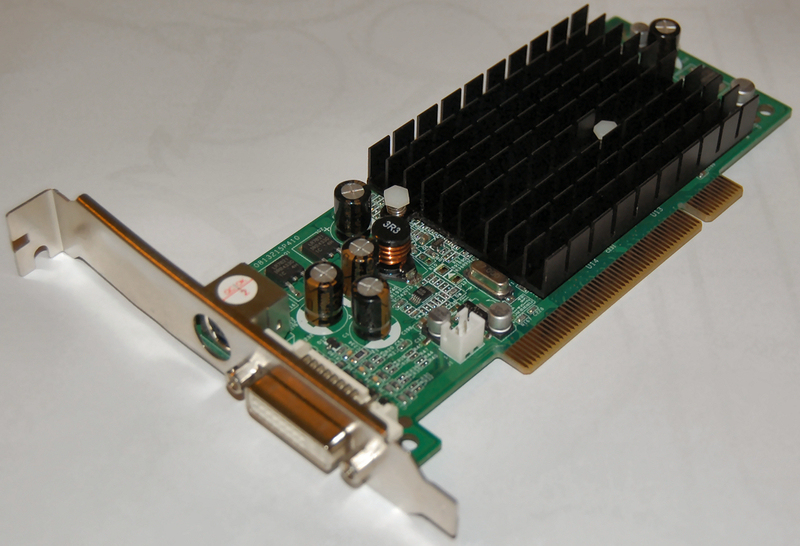 The card I chose for the Shuttle some time ago was an Nvidia FX5200 AGP low profile fanless card with DVI out – a $10 ebay special. I don’t game and the card has performed fine for me. It also happens to be one of the most common cards used by MythTV people. If I can get this older card to handle 1080p then I’m fairly confident that I’ll be able to get 1080p from whichever Nvidia card I chose for the new HTPC (perhaps I’ll just reuse this old 5200). Let’s outline some expectations before jumping in and lay a proper foundation for this home theater PC build. By basic definition, the HTPC is the central hub of a media entertainment system and it should be able to perform a number of tasks such as music and video streaming, PVR functionality, CD/DVD playback, provide on-screen data such as weather conditions, RSS feeds, etc. Additionally, our HTPC should be able to stream live and recorded television to low cost satellite front-end machines scattered around the home via hardwired Ethernet (which I installed last year throughout our home). I experimented with MythTV briefly three years ago and was impressed by the functionality that it offered. At that time I didn’t have a spare machine to dedicate to MythTV and my involvement with the software was rather short. Though that install was short-lived, it made some lasting impressions and desires to create a permanent MythTV box which I now intend to do. At that time I used the Knoppmyth distro for a fairly painless installation. Since I’m not familiar with anything outside of Debian based distros I intend on using Knoppmyth again or perhaps Mythbuntu to get a base system up and running. This system will be connected to a Sony HDTV which accepts 1080p over HDMI, so ideally the HTPC should be 1080p display capable and capable of playing high definition content. Decoding 1080p will be a big challenge and perhaps won’t even be possible with the hardware I select. I will explore this more thoroughly later. The HTPC must have DVI or HDMI video output. Though the KDS-55A2000 has a VGA input, the display’s resolution is greatly limited when connected via VGA. Simply put, VGA isn’t an option for me. My high def cable box is the Motorola DCT-6200 which has two firewire out ports. It would be ideal for the HTPC to communicate with the 6200, so the next prerequisite is that the HTPC have a firewire port to interface with the cable box to provide the tuner functionality. Gigabit connectivity is desired since my home LAN is already equipped to handle it and it surely can’t hurt when we start streaming video across the LAN. Since most new motherboards support it these days, it should not be a problem. The HTPC will be Linux powered, and Nvidia is very well supported with Linux and Mythtv so this is an important requirement for the build. Simply put, the case needs to look great and have good build quality. An HTPC case is a must for my personal taste and I prefer the look of a low profile case. I’m fully aware of the constraints this will put on the build. The case design will probably limit my motherboard choices to Micro ATX, which should work out fine in the end assuming I can find one with the prerequisite features above. I anticipate the case will be the most costly part of this build.